Thinking of taking a trip around the world? It's not cheap to travel anywhere these days. 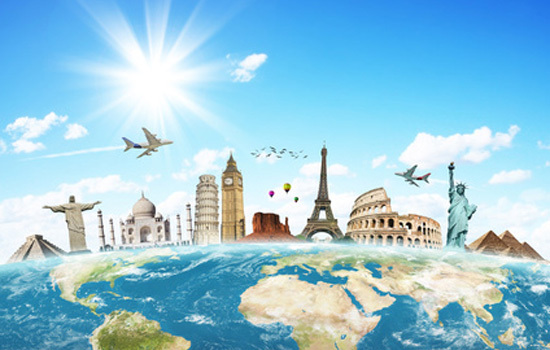 The cost of airfare alone can be enough to make you think twice about traveling internationally to one location, let alone take a multi-country journey. Fortunately, it is possible to travel the world without depleting your savings. Plane: Consider purchasing "around the world" tickets. They come in different amounts and are measured in thousands of air miles. One pass can give you access to several countries with more than a dozen stopovers (24+ hours in one location) and costs a few thousand dollars. While flying is your most expensive travel option, an "around the world" ticket will cost less than booking individual flights. Read our guide for more ways to save money on flights or consider using an airline credit card. Train: A global pass from Eurail - Europe's rail system - costs only a few hundred dollars and can take you to over 20 countries. If you'll be spending a lot of time exploring Asia, the Siberian Railway will transport you from Moscow to Beijing for just over $2,000 -- but be prepared for a two-week trip. Bus: Traveling by bus is cheaper than rail or air travel, but it's also much slower. Eurolines in Europe has routes that travel between over 45 cities and occasionally offers special deals for attractions. Hiking/Biking: The "backpacking experience" will certainly take a dent out of your overall costs. While this will take a lot more work, since you will need to map out your travels and places for food and accommodations, you will end up with a unique, memorable experience. Hostels: In return for saving money, you'll get fewer amenities than a hotel, a dormitory feel, and more risk. Some hostels are sketchy places where you probably wouldn't want to spend the night. Luckily, a number of online resources, including Hostelling International, can help you identify and book reputable hostels. Couch surfing: Check out couchsurfing.org to get access to short-term free or very low cost overnight accommodations. You may have to literally sleep on a couch or even a floor, but it's hard to beat the price. Organic farms: WWOOF International (Worldwide Opportunities in Organic Farming) connects people traveling abroad with organic farmers who could use some extra help. You may need to commit to staying a couple weeks, but you'll get a free room, free meals, and an incredibly unique experience out of the deal. Camping: All you'll need is a tent and a safe place to pitch it every night. Working for room and board: Pick up an odd job in the city you're visiting, even if it's just for a week or two. Babysit a local family or see if your hostel needs some short-term help in return for free room and board. For ways to save money on hotels, read our guide or consider using a hotel credit card. You can travel the world without breaking your budget if you do some careful planning and use a mix of options to limit the amount you have to spend. There's no substitute for the experience of international travel, but there's also no reason that you have to go broke financing it. Leave a comment about How to Travel the World (Cheap)?